Lloyds Bank has brought back its iconic black horse in a new campaign marking its 250th anniversary. The campaign, created by Adam & Eve/DDB, is centred on a 90- and 60-second film called "horse story", which depicts the strength and support of horses in everyday situations since 1765. 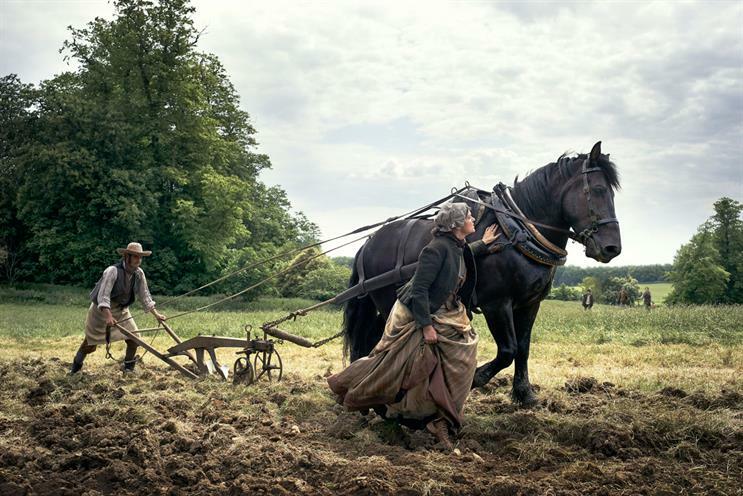 In each scene the black horse, a central feature of the brand’s logo, is seen taking its first steps as a foal, then helping a farmer and his wife plough their field, then pulling a lifeboat. As the film progresses forward in time, the black horse is then seen pulling a horse-drawn carriage at a 1980s wedding, before ending on a British paralympic showjumper cantering through a forest. The film was directed by Sam Brown through Rogue Films and uses the soundtrack Wings by British singer-songwriter Birdy. Ben Tollett, the executive creative director at Adam & Eve, led the creative work. The campaign also includes press, outdoor, digital and in-branch advertising. It uses the line, "By your side for 250 years". Catherine Kehoe, the managing director for brands and marketing at Lloyds Bank, said: "We wanted to acknowledge our 250th anniversary with a campaign that dramatises the role Lloyds Bank has played in its customers’ and communities’ lives through the years. "Our iconic symbol – the black horse – is the vehicle used to demonstrate quiet determination and trust, by your side through good times and bad." The mascot was briefly revived in 2003 – for the first time since the 80s – as part of an effort to win back market share. A&E/DDB was hired for the project earlier this month without a pitch. Adam & Eve and Lloyds’ incumbent creative agency, Rainey Kelly Campbell Roalfe/Y&R, are set to pitch for the banking group’s ad account at the end of July. RKCR/Y&R was hired as the creative agency for the Lloyds Bank account in 2002. The business was handled by Saatchi & Saatchi. Mat Goff, the managing director of Adam&Eve/DDB, said: "The black horse is one of the most enduring icons on the British high street. "It represents the endurance, service and partnership that Lloyds has always provided its customers and is the perfect creative device for marking Lloyds’ 250th anniversary."